Presidents’ Day is fast approaching and I know that many of you are wondering what to do with your three-day weekend. Not like you don’t have a million ideas for what you would like to do and then when you realize you can’t fit your whole list into just three days, you just decide to rent a movie and sit on the couch. I know the feeling. I do it many weekends, though I’m always planning a trip of some kind on the side or doing one of my many things off my to-do list to help you guys take fun and affordable trips. So, your “Woohoo! Three-day weekend!” isn’t followed by “meh…” and instead by “Let’s go do this awesome thing I read about…” Better, right? I know Presidents’ Day doesn’t sound all that exciting, but since we can’t make every president’s birthday a national holiday – well, I suppose we could, but then no one would work half the year – we celebrate with the first president’s birthday, George Washington, on the third Monday of the month, which is almost never on his actual birthday. And, I should add, we throw in a bit of honor for our awesome 16th president, Abraham Lincoln, because he freed the slaves and was pretty amazing…and because his birthday is on the 12th, making it an easy tie-in. He may not be the father of our country, but he made the most of his years in office, which I think deserves quite a bit of credit. If you aren’t plotting your course for hitting as many sales as you can next weekend, then possibly you would rather spend your money on something a little more enriching, like a trip that can be fun and educational (super for kids!). 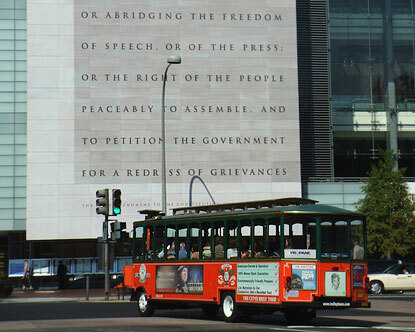 Today is all about things to do for fun and cheap in our nation’s capital: Washington, D.C. I have been there once, in my former years, and it was a disappointing trip all around. We drove from Virginia, mostly without stopping, only to get stuck in rush hour traffic and see very few buildings as we inched along at 3 mph. I did see the White House, but as there were renovations being done, the majority of it was covered in plastic. The next thing I remember was turning around and going back home. I didn’t even get to go to the zoo, which I distinctly recall being asked about before we left. You don’t want your trip to be like mine, and I hope that my next trip – which is something that will happen – is a lot more fun and I even get to get out of the car at some point! 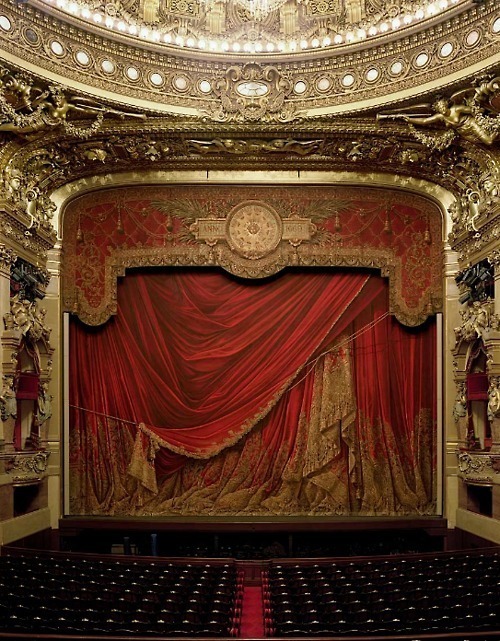 Get half-price and discount theater tickets to performances at the Signature Theatre, the Kennedy Center, Folger Theatre, Imagination Stage and more. 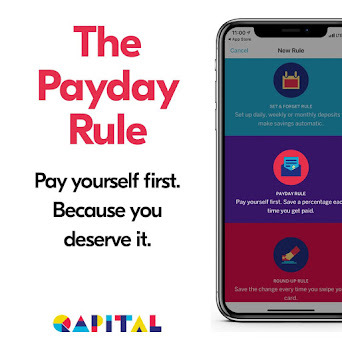 You can get them same-day or in advance. 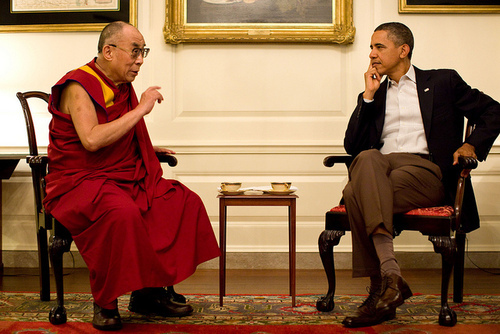 Take a free tour of (some of) the White House. Get there early, though, because this is always a popular activity and wait times can be long. You might even catch a glimpse of Obama doing presidenty stuff: taking phone calls, concurring with people ideas, signing documents, wearing a suit, walking purposefully down the hall. Things like that! 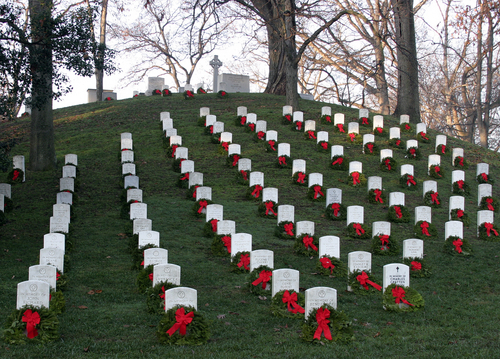 Pay homage to our veterans who have passed on with a visit to Arlington National Cemetery. You can visit John F. Kennedy’s grave, along with Jackie O, their two children and his brother Bobby, the Unknown soldier and see the changing of the guard throughout the day. Wish our 16th president Happy Birthday with a stop at the Lincoln Memorial. 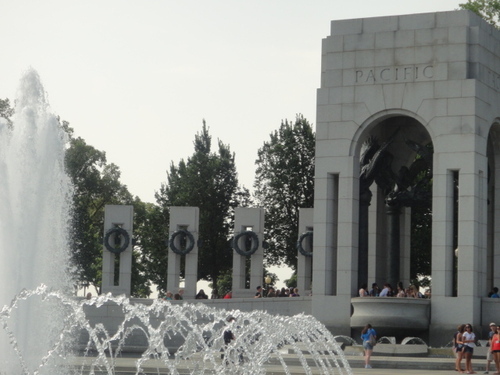 Then take a tour of the other famous stops in DC: the Washington Monument (closed for renovations due to earthquake damage), the reflecting pool, the Vietnam Memorial, the Thomas Jefferson Memorial, DC War Memorial, Eisenhower Memorial, Franklin D Roosevelt Memorial, U.S. Holocaust Memorial Museum, Women in Vietnam Memorial and a whole lot more. You could spend three days just visiting these sites. Go here for a map of the most popular and to start planning your trip. Print out free walking guides for your trip. Almost 20 different guides are available, so whether you want to stroll the Botanic Garden or visit the Smithsonian, you are covered! Save money and skip the ticket lines by purchasing a DC Power Pass. 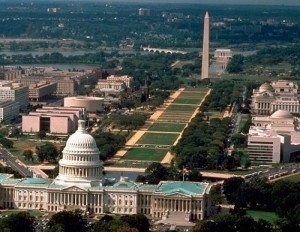 Valid from 1-5 days, it enables you to see Washington DC to the fullest. 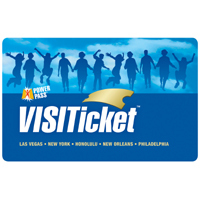 Over 20 attractions are included in your price as well as discounts for shopping. Passes start at just $64.99 and if you buy before day end on February 13th, you can receive 5% off! · And if you’re looking for late-night dining: The Diner 2453 18th St NW Washington, DC (202) 232-8800 An upscale diner that’s open 24 hours. 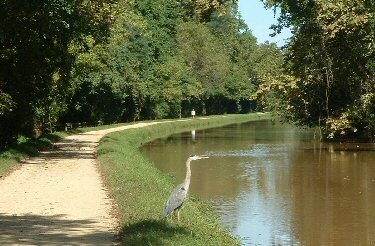 Stroll along the C&O Canal. The Chesapeake and Ohio Canal used to be a waterway where goods were shipped to the Potomac River. Historic! 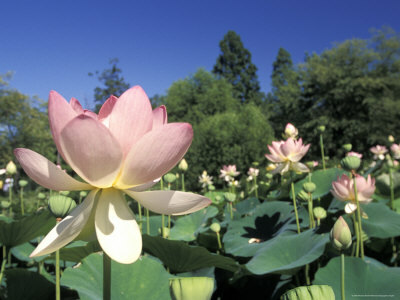 Ever seen an aquatic garden? Technically, it’s a marsh, but Kenilworth Aquatic Gardens sounds a lot better and prettier than Kenilworth Marsh. It’s the last natural marsh in Washington DC and you can see amazing water plants and flowers, as well as dozens of species of birds…and it’s all free! Let someone else show you around the city with the Hop-on Hop-off Trolley. I’m dying to go on one of these and think that my next trip to a big city that has one at a reasonable price might be reason enough to hand over my hard-earned money. For $35 per person ($25 for kids) you can sit back and take pictures and listen to the narration, then get off and back on at any of the stops all day long. The ride covers over 100 points of interest and stops at 20 locations, including the White House Visitors Center and Ford’s Theatre. The full loop takes 2 hours if you don’t get off anywhere, but why wouldn’t you? Book your tickets before March 15 and get use of the trolley for three days instead of just one! 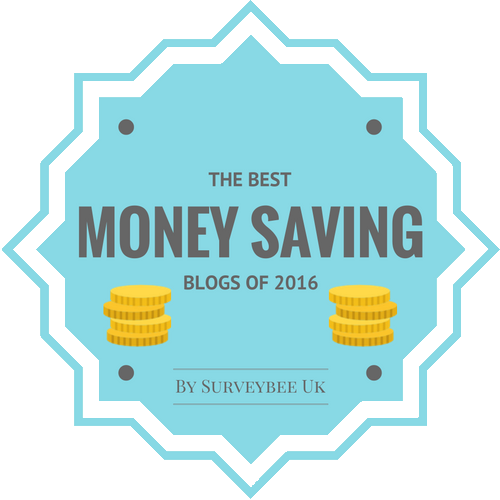 Here’s one to splurge on: Have you ever wanted to be a spy? I mean, like not get shot at and stuff, but be secretive and carry important information? The Washington DC Spy Tour will have you itching to get your hands on that Top Secret envelope full of the country’s secretest secrets! You’ll discover the city’s spy secrets, mysteries and deceptions on this tour and then take part in a secret “mission”. I’ve been dying to do this tour since I saw Samantha Brown do it on her Weekends show. Your $58.99 will also get you VIP admission to the International Spy Museum for more about espionage, traitors, gadgets and more…if you know the secret password! You even get to meet former intelligence officers. Awesome, right? Even if you aren’t planning to travel to DC over Presidents’ Day Weekend, don’t forget that there are so many amazing things to see and do there for the next time you’re stumped for an affordable trip. 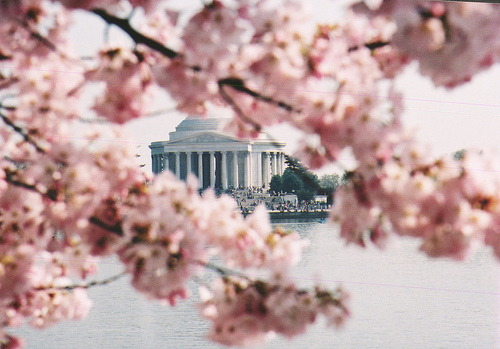 Make DC your home base and then take day trips to Maryland or Virginia, too. But, for the love of travel, wherever you go, get out of the car! 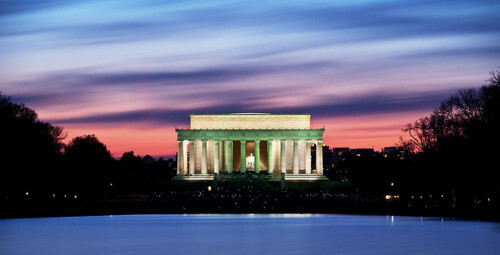 Do you live in the DC area or have you vacationed there? What are your favorite tourist spots and eateries?